Looking for a cheap cot for your baby? 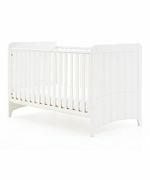 Make your baby feel comfortable with a quality cot that you can buy from ASDA, eBay, Argos, and other reputable UK retailers. You can buy them at very affordable prices when you use the latest cheap cot UK discount codes. Get as much as 25% savings on selected items. You can also get your orders delivered to the comfort of your own home. Select from various sizes and thickness of cot to provide maximum comfort for your baby. Get great value for your money. Pack of 2 Cot Fitted Sheets - Less than Half Price! Keep your baby comfortable without compromising your budget with quality affordable cots for sale! Shopping for baby cots and cotbeds will leave you with nothing but a sea of selections to pick from. While they are all made of wood, most of them vary in colours including brown, natural and white. They are also of different styles. There are those with evenly spaced bars; while others have slats around the entire body of the cot. WIth whatever you may get, just think about the safety of your child all the time. Similarly, most cot beds and cots come with two downsides. When you prompt the exterior of the crib, they will slide down. They should only be secured enough that your baby will not move them. To deal with the teething pleasure of your kid, there are baby cots that have a plastic teething rail. Indeed, cots have always been a good investment. As your child grows, you can convert yours into beds eventually. They may represent transition toddlers will have to go through in life. When you do so, you may only have to remove the drop sides from the cots so that they can be replaced for a shorter safety railing. This is necessary so that they would not fall. 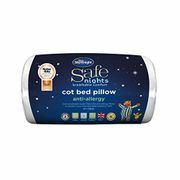 Where Can I Find Deals in Cots UK? Baby cots are diverse. 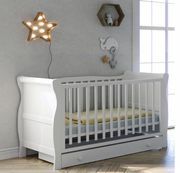 Once you decided to get one, you may also have to consider that apart from cheap cot beds, you may also have to look at cot beds with mattress because they are important in your purchase too. Good news is that you can always get baby cot sale for baby cots with mattress and more. There are always affordable deals waiting for you. From baby cot Mothercare, baby cot Ikea, Argos cot bed and many other related to cot bed sale, we got you all covered. We have the latest voucher codes, price drops, deals, voucher codes and special offers that can help you save on your baby cot shopping. Our team of money-saving experts and community of bargain hunters are always on the lookout for baby cots for sale. Take advantage of the massive amount of discounts you can have from Amazon, Boots, Dunelm, IKEA, eBay and many more. ASDA. Visit ASDA and get affordable deals on cots. There are offers for white cots, pocket sprung cotbed mattress, compact cot mattress, cot and mattress bundle and cot and mattress set. With these features, you can get cot beds with mattress with price reductions. eBay. Shop at eBay and take advantage of a 20% off on furniture including cots. Most of the selections are made of wood. You may also find cot beds which are water repellent, while some have built-in drawers in them. Check these out and broaden your options. Emmasdiary. When it comes to baby products, Emmasdiary is the place to be. Achieve at least a maximum of 50% off from your purchase and get a crib blanket, freestanding drape set, organic mattress, car seats and cot tandem travel system, anti-choking pillow, foldable bed rail, or top changer at a price you can surely afford. Kiddies Kingdom. Scan through Kiddies Kingdom and find the most exciting offer for cots. You can purchase a baby car seat, toddler cot bed, or a cotton sheet for space saver cot and save a maximum of 60% from your shopping. Take advantage of this while it lasts. Mothercare. Mothercare has always been in the forefront when it comes to providing essentials for babies. Own a folding cot, cot with dropside, cot with mattress, natural cot or an antique cot and save £20 or more from your purchase. Whether you admit it or not, it cannot be denied that most babies spend their time in the crib other than anywhere else. With these, their comfort and safety are all essential. Before they get to real bed, they will grow in cots first until they are about 2 to 3. Of course, you might want a sturdy option for them in this event. There are mothers out there who would opt to set up their crib months before they are due. However, for those who may not be able to do this, there is no need to worry. At the first few weeks of the child, it is just okay for them to stay in a cradle, sleeper or a bassinet. This should not be a problem. Space - There are parents who may not have the luxury of space in their house. If this is your case, you might want to consider having a portable or mini-crib instead. Any of which would just take less space in your home. There are those which can be folded and collapsed so that they can be stored. On the other hand, some have wheels. Mattresses - When it comes to the mattress of your cot, please understand that there are two common types available in the market - innerspring and foam. The usual thickness of these are about 3 to 6 inches. If you are to go for a foam, consider its density. It must be high. To indicate this, weight is the answer. When a mattress is light, it may not be that densed. Stability - It would not hurt to give your crib a good shake. If you can see that it rattles or wobbles, it only implies that it is placed together accordingly. Frame Size - You must be certain about the frame size of your cot. The interior must be enough to accommodate the standard size of a mattress. As you do this, check if there is no space between the mattress and the sides of the crib walls. If there are - this can be a big danger and you must not proceed. There is a tendency for the babies to be trapped. You would not want this to happen for sure. Height - There are cots out there that will allow you to modify the height of your crib mattress. This is simple to do. You just have to raise or lower the support of your mattress. You might have to lower it once your child starts to sit up. When your kid begins to be more active, there is a possibility for them to climb out of the crib and fall eventually. Avoid this. 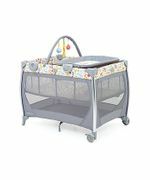 Flexibility - You are given the freedom to go for cots which may be converted into a toddler bed or a day bed eventually. There are even those which can be a headboard or a footboard if ever you have a full-sized bed. If you intend to any of these for your cot, make sure that the crib enables you to perform such. Why Let Your Baby Sleep in a Cot? There are researches that say cot-sleeping is way safer than bed-sharing because the latter increases the case of SIDS or Sudden Infant Death Syndrome. Your baby get to sleep well in a cot because he or she is more comfortable. With the said furniture, he or she is unlikely to be disturbed. You may spare your kid from the rolling, snoring and going to the bathroom in the middle of the night from time to time. It is also best for couples who want the bed all to themselves. Making them sleep in a cot would be a wise practice so that they will no longer take time for transition. There are many transitions babies have to go through, this should not be one of them too.